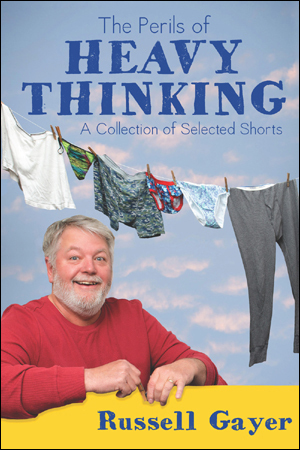 No Longer #1 – What's So Funny? Here in Arkansas, it’s not often we get to brag about leading the nation in any particular category. With our puny number of electoral votes (6), presidential candidates rarely even bother to stop in for a cup of coffee. People from other states tend to view us as backwoods hicks who rarely look beyond the nearest limb on the family tree when choosing a mate. We have a long tradition of being near the bottom in education, economics, and average number of teeth per capita. 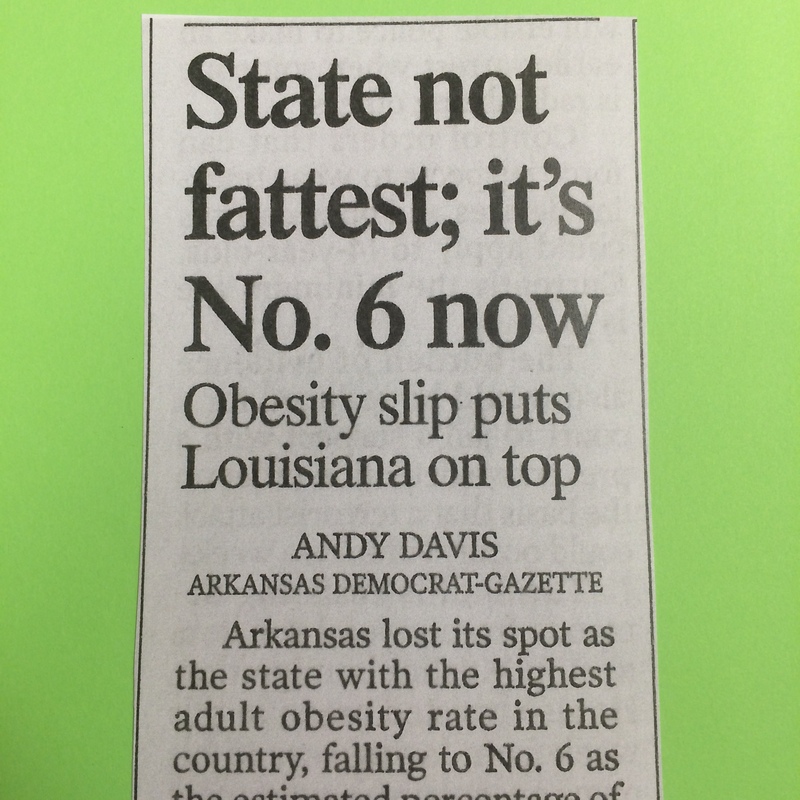 That’s why today’s headline in the Arkansas Democrat-Gazette hit most Arkansans like a sucker-punch in the beer gut. We worked long and hard to earn the Obesity title. It took years of potlucks, bar-b-ques, and all-you-can-eat buffets, plus an unwavering dedication to stay away from any kind of physical activity that might cause us to lose one precious ounce. Now, those damn Cajuns from the south have not only stolen our title, but kicked us out of the top five. It’s embarrassing, I tell ya. I hope everyone in the state is as outraged as I am. Tomorrow starts a new season of college football. This means one thing–tailgating. I challenging everybody in the state to toss out their salads and boycott light beer. Let’s put on our big boy pants with the elastic waistband, and park our butts on the sofa with bucket of fried chicken, a bag of Doritos, and case of dark beer. Getting on the roof might burn too many calories. Better just throw it in the hog pen or feed it to the chickens. They like greens. ha ha. I wish someone would urge me to eat like you do 🙂 Good luck regaining your state title. Thank you, Suzanne. I’m flattered. I don’t think anyone has ever reblogged me before. Hey, chubby is a compliment! Thanks for the tip, Lorna. My guess is he’s saving them for inauguration day in the event the orange-crested blowhard wins the presidential election. Personally, I’d rather see them go to Uranus. Have him give me a call. Getting back the title is a real priority here in Hog Country. When you’re on top, the whole world is out to get ya.